Danny Grant has been banned until September 2019 and fellow jockey Kevin Sexton has been given a two-year suspension – the final 18 months deferred – as the Turf Club continued their clampdown on drug offences on Monday evening. An 18-month suspended penalty was imposed on Grant in 2014 when he tested positive for a second time for a metabolite of cocaine, the source of which was believed to be a mate de coca tea that was taken to aid his skin condition. At a Turf Club hearing on Monday, although the full findings have yet to be published, a referrals committee acknowledged the source of Grant's latest positive was the same tea, but the jockey accepted he was in breach of rule 277. The start of the 18-month suspended penalty has been backdated to September 2 and concludes on March 2, 2018, at which point Grant will be free to appeal against a further three-year ban that was imposed yesterday and is due to run concurrently. Grant, stable jockey to Pat Flynn, has ridden 85 winners in Ireland since 2010. 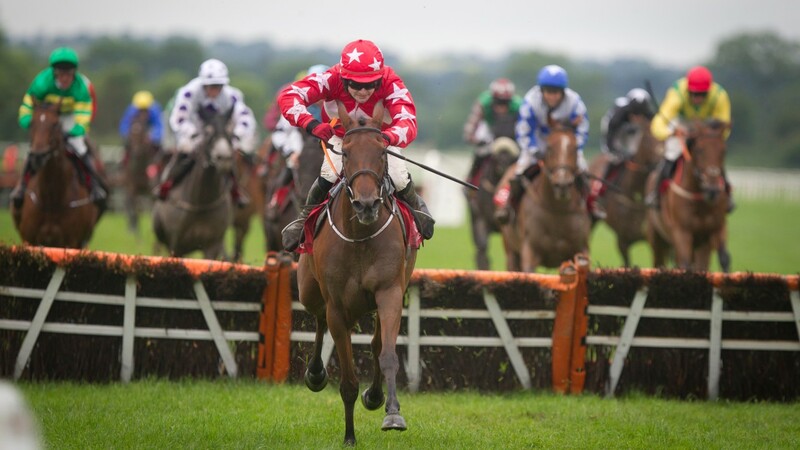 Sexton, who rode Bay Of Freedom to win a Listed chase at Wexford on October 31, will be out of action for at least six months after he tested positive for a metabolite of cocaine during the summer festival at Galway. The former champion conditional enjoyed his finest hour when winning the 2014 Troytown Chase at Navan on Balbriggan for Gordon Elliott, but a two-year ban for the failed drugs test, albeit with the final 18 months deferred if he does not test positive during that period, is a big blow to his burgeoning career. Sexton will also be randomly sampled as required by Turf Club chief medical officer Dr Adrian McGoldrick.